The Irish folk tune Slane (the melody used in the hymn Be Thou My Vision) forms the foundation for this melodically expansive and inspired work for concert band. A flowing exploration of the melody in variation inspires the listener with its bold and thrilling progression. The piece remains within reach of a solid grade 3 band but gives the impression of a higher level of composition. A rich variety of style and orchestration make this a good choice for festival use as well as concert performance, as well as a great opportunity to study the rich cultural heritage of Ireland. 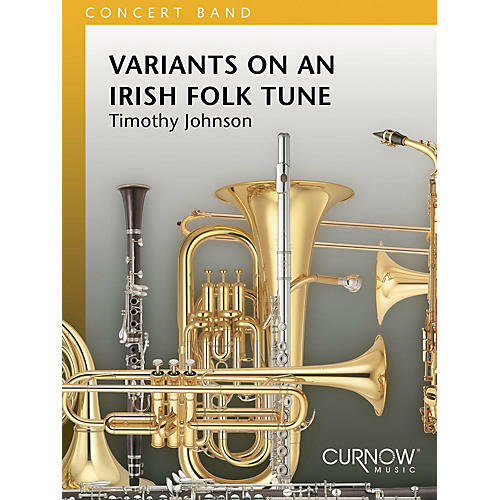 You'll be glad you programmed Variants on an Irish Folk Tune by Timothy Johnson.